With the draft a week a goa nd 30 GMs dreaming of sugar plums and fairies, just a quick little write up of what happens when you get it wrong. I present my personal list of the worst first rounders of each team. I weighted it heavily towards the lower picks, if a number five pick had similar numbers to a number 20, i listed the number five. ANAHEIM: Slave Christov, 5th pick in draft 2001. A scoring winger who couldn’t score spent 2 full years and parts of another in the NHL. COYOTES: Viktor Tikhonov. 2008. When Russians go wrong. This will be a fairly common theme. He spent his rookie year in the NHL scoring 8 goals and then disappeared to the AHL then the KHL and has not been heard from since. BRUINS: Zach Hamill number 8 in 2007. Close battle between he and Jordan Caron from the following year, Chose Hamill because even his AHL and KHL numbers are awful. Played a measly 20 games in the NHL. SABRES: Marek Zagrapan number 13 in 2005. WHO????? He played a couple of years in the AHL before returning to Europe. 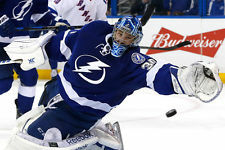 In recent years he has been released midseason by a KHL team and a Czech team as well. FLAMES: Deep class of horrible players. Rico Fata number 6 in 1998 ties with Daniel Tkaczuk tie, both were wretched. Other recent first rounders for the Flames are Oleg Saprykin, Brent Krahn, Greg Nemitz, Matt Pelech, Kris Chucko, Leland Irving and Sven bAertchi. Just awful drafting for a long, long time. HURRICANES: Zach Boychuk, number 14 in 2008. Still gets a game or two here or there, but simply an awful player. BLACKHAWKS: Mikhail Yakubov number 10 in 2000. Another Russian, a scoring center who logged 2 goals in 53 NHL games. AVALANCHE: Duncan Siemens number 11 in 2011. Concussion issues have derailed him but he has been awful when he plays. Has one career NHL game. BLUE JACKETS: Nikita Filatov number 6 in 2008 gets the slight edge over Gilbert Brule who was number 6 in 2006. Filatov simply did not like to be hit. Ken Hitchcock would have loved to have hit him many times himself. Possibly the laziest player in NHL history. STARS: Scott Glennie, number 8 in 2009. Fans tired of his refusal to play through injuries. Has played one NHL game, just released. RED WINGS: Tom McCollum 2008. The Wings usually trade their first rounder away, they kept it in 2008 and drafted a goalie who has managed a handful of NHL games. 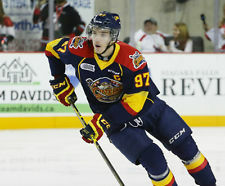 OILERS: Nail Yakupov first pick in draft 2012. Looking like a brutal bust. PANTHERS: Quinton Howdon , 2010. Has managed a measly 34 games and 6 points in the NHL. AHL numbers are awful as well. KINGS: Colton Teubert number 13 in 2008. The rugged d-man taken 11 picks after taking Doughty managed 24 games with the Oilers, now toils in Europe putting up pedestrian numbers. WILD: Tyler Cuma 23rd in 2008. Managed 1 game in the NHL before heading for Europe. Was awful at the AHL level as well. CANADIENS: Doug Wickenheiser first pick in draft 2008. Always on the list of possibly the worst first pick ever. Timing was wretched, he came along at the time that the Habs dynasty was ending. PREDATORS: Brian Finley, number 6 in 1999. A goalie with the 6th pick in the draft? his final stats, 3 NHL games, zero wins. DEVILS: Matt Corrente first rounder in 2006. Corrente has logged 34 games in the NHL with zero goals, and has not made an appearance beyond the AHL in five years. ISLANDERS: Josh Bailey number 9 in 2008. He still plays, he still shows flashes, but he has not lived up to expectations. RANGERS: Dylan Mcilrath number 10 in 2010. Has yet to establish himself, has managed a whopping 3 games at the NHL since being drafted five years ago. SENATORS: Alexandre Daigle number one pick in the draft in 1993. Disrupted team chemistry, lazy, never was close to the player that his talent dictated he should be. FLYERS: Ryan Sittler, number 7 in 1992. Never played a single second in the NHL. Only a year a a bit of another at the AHL. An ECHL player with the 7th pick. PENGUINS: Angelo Esposito number 20 in 2007. Never sniffed the NHL. 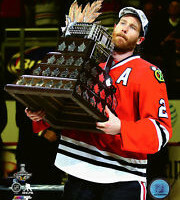 His only saving grace is he was part of the package that brought Hossa and Dupuis from Atlanta. SHARKS: Ty Wishart number 16 in 2006. Wishart managed 26 games in the NHL. Involved in a few strange trades, traded for Matthieu Carle and two years later traded with Matt Carle. Traded for Dan Boyle and for Rollie the Goalie. BLUES: Marek Schwarz, goalie, 17 overall in 2004. Managed a whopping six games in the NHL over three years. Had stiff competition from Shawn Belle who was the first rounder the year before. who managed 20 games in the NHL. LIGHTNING: Riku Helenius, goalie, 15th pick in 2006. Why on earth do people draft goalies in the first round???? Helenius managed one game, seven minutes in the NHL. He was a .500 goalie at the AHL level and is now a backup goalie in the KHL. MAPLE LEAFS: 2011 draft, two picks in first round. The Leafs drafted Tyler Biggs who never made the NHL and now toils for the Orlando Solar Bears and Stuart Percy who has managed 9 games at the NHL level with the 22nd and 25 picks in the draft. Pretty poor return. I may be a bit unfair, Percy is still considered a meh prospect, the early nineties drafts may have been among the worst of all time with such names as Steve Bancroft, Brandon Convery, Jeff Ware and Eric Fichaud. CANUCKS: Jordan Schroeder number 22 in 2009. Career stuck in the mud, cannot get it going. CAPITALS: Taking the way back machine, the Caps first pick in their inaugural season was Greg Joly, the number one pick in the draft in 1974. An awful defenseman who stuck around a few years, teams kept giving him a chance because they thought, he was the first pick in the draft, there has to be more, but there was not. An awful hockey player. If you want to move further up, Anton Gustafsson was the first rounder (21) in 2009 who came to North America, played one game and said he hated it and went back home to Sweden never to return to North America again. JETS: None so far, the Jets have drafted well since moving to Winnipeg. Organizationally tho, names such as Boris Valibik, Alex Bourret, and Daulton Levielle dot the barren landscape, while the possible worst first rounder of all time, Patrik Stefan was chosen number one in 1999 over either of the Sedins. That is it. My list of the awful, the names that you need to cover your eyes and peek between your fingers as you read hoping your team gets it right this time after getting it wrong before. Just a reason to temper your enthusiasm.